Every morning I wake up, make my coffee and then go about my day. Maybe you know somebody like this, or in fact this has YOU written all over it. I admit it, I am most certainly a caffeine addict. Yes, I legitimately need caffeine to function throughout the day. Well of course this can’t be horrible for you, right? Or can it…? As I search the internet looking for legitimate answers to this question; it is clear that there are both pros and cons to coffee. Well duh.. there are pros and cons to everything but whats the deal with coffee ? Check out this article I found here …. This article spits out some general pros and cons to coffee. The only clear disadvantages according to this specific site are simply unreasonable. 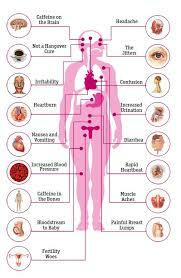 Coffee can kill you…yes, this is true but only if you drink 80-100 cups in a short period of time. Realistic? Probably not. True? I can only assume so. Coffee can lead to insomnia as well restlessness…. well, I could of told you that! Caffeine is known to do this to you. Now besides from these two negative claims regarding coffee, lets hear some positives. Coffee helps you lose weight, burn fat and helps you focus and stay more alert… I like the way these sound. Now besides the fact that I am sure we all have heard before, caffeine can help speed up your metabolism (in regards to the weight loss), the caffeine would probably have most to do with the alertness aspect. 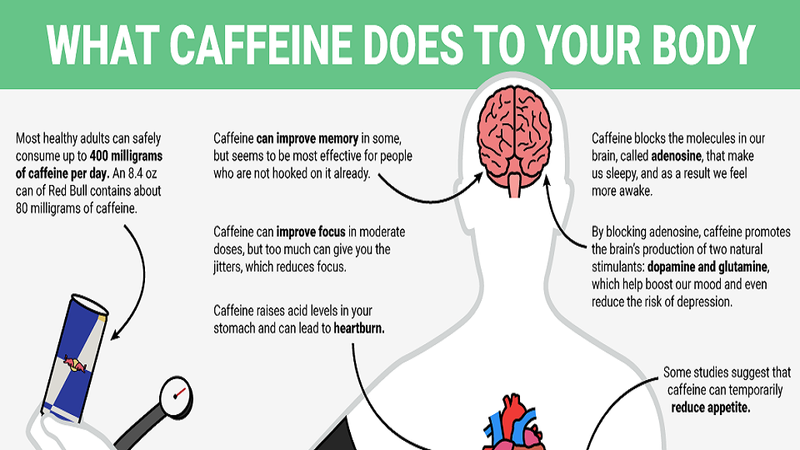 Now I am sure your mom, dad, friends or doctor could of told you all of this, but what is caffeine REALLY doing to your body? 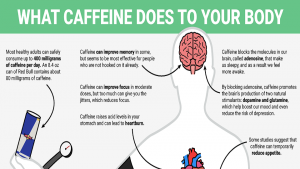 Once caffeine is within your body, it seems to travel to the CNS rather quickly. Caffeine reaches your brain and can cause headaches, can give you the jitters or tremors and cause anxiety in some cases. In regards to your digestive and excretory track, caffeine is known to cause more acid produces in your stomach- this is the reason you might experience heart burn or a belly ache when not used to the amount of caffeine you are consuming. Although studies have shown that caffeine has no direct effect with long term blood pressure, following consuming caffeine your blood pressure might increase temporarily- this is in relation to your circulatory and respiratory systems. Finally for women, in your reproductive system there are no clear indications of caffeine effecting this while not carrying a child, BUT if you are pregnant they say not to have more then one cup a day. Why you may ask? The caffeine can diffuse through the placenta and can increase your baby’s metabolism and heart rate. For clear reasons we can see why this would not be good for your baby’s health. After conducting a ton of casual research regarding this topic I genuinely knew nothing about, it is safe to say I am now updated on caffeine completely. I do NOT think I will stop drinking coffee, nor do I plan on cutting back, but I am honestly more aware of the effects of caffeine taking place within my body. Not only am I fully aware of the obvious signs of “too much” caffeine, I also will be more conscious of it due to the not so obvious effects caffeine does to your body. This entry was posted in Uncategorized on September 6, 2016 by Olivia Anne Browne. Most people I know have to have their cup of coffee in the morning, and not only does it seem like a hassle to wait in line at Starbucks for a grande iced coffee it’s also potentially a health issue. But I view this like most other addictions, as long as you keep some amount of moderation in your life its fine. But also, I was interested in why you aren’t able to stop yourself from not getting that drink in the morning. What I’ve found is some studies saying that it truly is a physical dependence on caffeine, but other people seem to think that it’s purely because of a pre-programmed routine that you go through everyday. So then I started reading about self-control because I assumed you could make progress towards not drinking it everyday. But the website I found seems to think that the more you make the negative decisions, the lower your self-control will become in the future. ( http://www.apa.org/monitor/2012/01/self-control.aspx ) So next time you go a day without coffee, think about if it was a conscious choice or if you just forgot. I am not a heavy coffee drinker and that is greatly do to the fact that I do not want to become addicted to it. I know a ton of people who need a cup of coffee in the morning or a couple times throughout the day because they not only need the coffee to stay awake, but because they are genuinely addicted to it. I get bad enough headaches as it is and I don’t want to be reliant on coffee to make me feel good everyday. I don’t think coffee is as harmful to your body as many people say it is and as you have just proven, but I am surprised you never further detailed caffeine addiction in this blog post. I think that out of all the problems coffee can cause, this is the one I hear about the most. This would lead into a good discussion on how our body can become addicted to something that we put into our body that is not naturally there. Addiction is such a common thing whether it be from something simple as caffeine or as complex as drugs. I think this is a great idea for a post as it affects almost everybody! I like the way in which you organized your post, it was easy to follow and full of information. I also chose to write about coffee, more specifically a new gene that was found that might be able to determine why people drink more coffee than others. One comment I received was to add something about the effects of coffee/caffeine so I think our two posts would have gone really well together! I think it would have been good to maybe analyze the information more to help your readers determine if maybe they should reevaluate their caffeine habits. It may also have been interesting to weave in some myths that people believe about coffee or caffeine to contrast them with reality. Overall a really great post though! This article is awesome for college students because after being here for only a short few weeks, I can see that EVERYONE drinks large amounts of coffee. Some people drink it for leisure because it tastes good, and others drink excessive amounts to stay awake to study at night (which I am guilty of). One thing that has always made me think is the effects that caffeine has on your teeth. My younger sister did a project one year researching the effects of coffee, tea, and coke on your teeth and I thought it was very interesting because they all contain caffeine. I am sure if some of us knew the effects on our pearly whites we would cut back more, or find and alternative. This post was really well written and really grabbed my attention. I drink coffee, tea, and even have chocolate as much as the next person but I always disregard the potentially harmful ways the caffeine can work against my body. My mom actually always reminds me of this (while sipping away on a very caffeinated Diet Coke) and I tend to ignore her while looking through my Dunkin app for coupons. But it’s important because for somebody who is still growing (me) and who is relatively small (me) there are many negative ways that caffeine will effect me.